“I always talk about ‘strong India strong Japan’. On this occasion, I express my gratitude towards Japanese businessmen to show their faith in India. I invite you all to engage with India to speed up investment process there,” Modi said while interacting at the Business Forum Summit here. 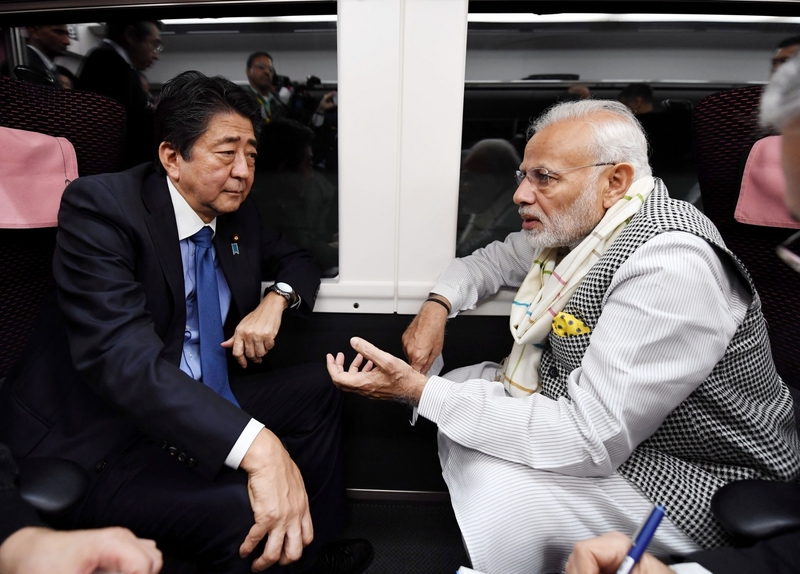 The Indian Prime Minister thanked the Japanese government and companies, saying: “Our Delhi-Mumbai industrial corridor project is also moving forward,” because of Japan’s collaboration with India. He said that under the ‘Make in India’ initiative, India has the potential to become a manufacturing hub. “I have always kept ease of doing business as my priority. India was at 140th position in the ‘ease of doing business’ ranking of the World Bank when he took over the responsibility of the government in 2014. Now India has reached 100th position and we are working towards better ranking,” Modi added. This is Modi’s third visit to Japan for the summit and his 12th meeting with Abe since 2014.